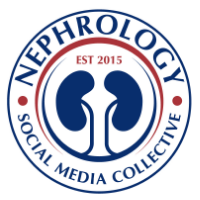 Nephron Power: IN THE NEWS-NEW TREATMENT FOR TYPE II DIABETES - FROM THE KIDNEY!!! IN THE NEWS-NEW TREATMENT FOR TYPE II DIABETES - FROM THE KIDNEY!!! A nice review in CJASN this month takes us on the concept of glucose transport in the proximal tubule and rest of the human body. Four members of two glucose transport families SGLT1, SGLT2 , GLUT1 and GLUT2 are expressed in the kidney. Mutations in SGLT-1 are associated with glucose-galactose malabsoprtion, SGLT-2 with familial renal glucosuria and GLUT-2 with Fanconi Bickel Syndrome. They take this one step further in this review and propose a treatment for Type 2 Diabetes. In Familial renal glucosuria, majority of patients don't have any problems except for glucose in their urine. There is no hyperglycemia and no other signs of tubular damage. The SGLT2 transporter allows glucose absorption in the S1 segment of the tubule. A natural inhibitor of this transporter exists as well called phlorizin( root bark of the apple tree and causes glucosuria). When this was given to partially pancreatectomized rats, the hyperglycemia corrected without changes in insulin secretion. Now there is a potential drug in development called dapagliflozin , SGLT2 inhibitor. It has shown in a prolonged study of over 300 patients compared to metformin or placebo showing much more reduction in blood glucose, hemoglobin A1c with maximum urinary excretion of 70g.day. This compound would obviously lead to a mild diuretic effect and hence even benefit for BP control. A novel thought from out of the box thinking. Hopefully we won't see any other side effects and long term effects of these drugs. Interestingly also, the other transporter is SGLT1 and it also absorbs galactose. No studies have been done of that linkage to recurrence FSGS or even FSGS. Since galatose potentially binding this "permeability" factor in FSGS, perhaps these patients have an underlying mutation in SGLT1 and cannot absorb galactose leading to the "freedom" for the permeability factor. Something to ponder on! !